A South Korean minister says that North Korea is estimated to have up to 60 nuclear weapons, in Seoul’s first public comment about the size of the North’s arsenal. South Korea’s Unification Minister Cho Myoung-gyon told lawmakers on Tuesday that estimates on the size of the North’s nuclear arsenal ranged from 20 bombs to as many as 60. Cho said the information came from the intelligence authorities. However, the minister said this did not mean South Korea would accept the North as a nuclear state. He also suggested that Seoul’s diplomatic efforts to halt the North’s nuclear program continue. 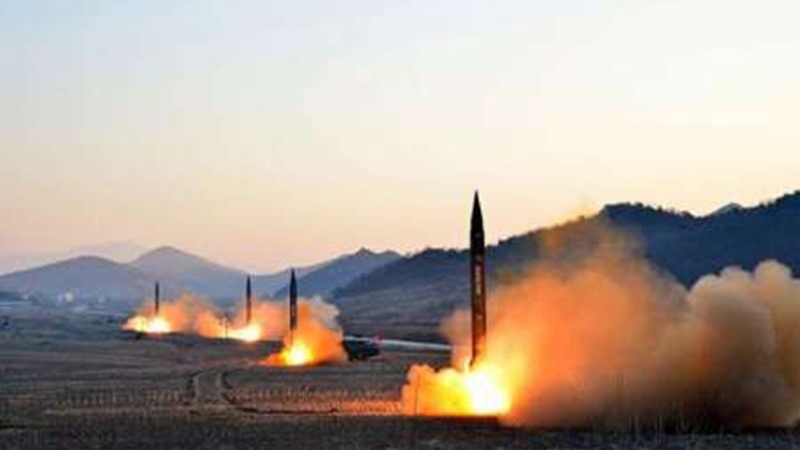 According to Seoul’s government reports, the North is believed to have produced 50 kilograms of weaponry plutonium, enough for at least eight nuclear bombs. It is the first time a senior South Korean official has publicly spoken about the size of the North’s secretive haul of weapons. In a commentary, North Korea’s official Korean Central News Agency (KCNA) warned Washington on Tuesday that it cannot use a declaration to end the Korean War as a bargaining chip. However, it suggested the lifting of sanctions could progress talks. “The end of war… is not just a gift from a man to another at all. Furthermore, it can never be a bargaining chip for getting the DPRK denuclearised,” it said, using the North’s official name. The North has for decades demanded that the US formally declare the end of the 1950-53 conflict that was halted only with an armistice. The North’s official news agency said its government has taken significant measures to end hostile relations with its southern neighbor. But it maintained that the US was “trying to subdue” it through sanctions.